Now that British Airways has moved into the South terminal at Gatwick, and you have a brand new check-in area, impressive new lounges and no need to use the monorail any longer, I thought it was worth taking a look at the various Gatwick Airport parking deals. “How to get a discount on Gatwick Airport car parking” is a difficult and long-winded question. This article has a particular focus on the ‘miles and points’ angles. The official Gatwick Airport car parks (click here) are certainly not the cheapest option but are certainly convenient. 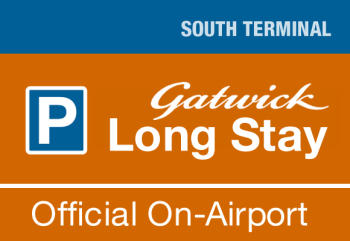 Official Gatwick Parking has a long-term discount promotion. Via this link (click) you will save 10% on long-stay, short-stay and Premium, valid for any dates to 31st March 2019. You will usually save money by parking at an unofficial car park near an airport, although the trade off is a longer transfer time to and from the terminal. 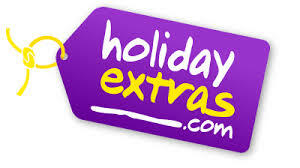 Holiday Extras is the British Airways Executive Club partner and you earn 5 Avios per £1 when you book via ba.com. Their home page for these offers is here. ba.com also offers a range of airport hotels which offer inclusive parking. You will also earn 5 Avios per £1 when you book these. Virgin Flying Club has a partnership with Purple Parking. Full details are on the Virgin site here. Purple Parking offers the option of a ‘meet and greet’ service. They will collect your car at the terminal and bring it back on your return. All Flying Club members get a discount – even those on the free Red level – and you will earn 250 to 350 miles depending on what service you book. Whilst most HFP readers use their Clubcard vouchers for Avios or Virgin Flying Club miles, Tesco Clubcard also has a partnership with airport parking group APH. You can see details of the deal here. You receive 3 x the face value of your Clubcard vouchers if you redeem them for APH parking. You need to be booking for a minimum of eight days in order to use vouchers. Do a one-way car rental to the airport for just £1! As I outlined in this article, Europcar is offering one-way UK car rentals for a flat fee of £1, including basic insurance. Most of these are to or from major airports, including Gatwick. This is not a marketing ploy. The company is trying to save itself money by using you as free labour to get cars back to their original location or to re-allocate vehicles across sites. Why pay a truck to haul a vehicle across the country when you can find someone willing to pay you £1 for the privilege?! The Europcar £1 rental page is here. Hertz is also now trialling £1 rentals via Hertz One. I wrote about Hertz One here. I wrote an article here on the semi-secret ‘park and fly’ rates offered by IHG Rewards Club via a little-known corner of their website. This is worth a look. You may find that you can book a hotel room for the night before plus solve your parking problem for less than the cost of an official car park. The benefit of booking an ‘official’ IHG package rather than using a consolidator like Holiday Extras is that you will earn IHG points for your stay and your elite benefits should be provided if you have status. The booking page is here. Get an ‘under the carpet’ deal at one of the Gatwick hotels! Some of the hotels at Gatwick sell their parking spaces – with no obligation to book a room – via the JustPark website. …. or borrow the drive of someone nearby! If you want a really cheap deal, there are also private individuals on JustPark who rent out their driveways! I wrote a full overview of JustPark in this article. There is no simple answer to the cheapest airport parking at Gatwick Airport, or elsewhere in the UK. It is all about the trade off between the distance from the airport and the price you want to pay. If you would need a hotel the night before anyway, then a ‘hotel plus parking’ package is probably your best option – but remember that these packages, unless booked direct, are unlikely to earn hotel points or give you elite status benefits. If you are price conscious, then don’t be distracted by the Avios points on offer from various operators like Holiday Extras. Focus on the bottom line price. If you are spending your employers money, the official Gatwick car parks are the quickest and easiest choice. Get 1,050 Avios for £12 - plus 12 copies of The Economist!